Western Webs were commissioned by Office Machine Solutions in Galway City to develop a brochure website to promote the range of office products and services offered by the company. Along with providing you with the document solution we also provide a very reliable and efficient after sales service. Having over 10 years experience as a service engineer before setting up my own business I realise how important it is to provide a fast and efficient after sales service to my customers. Because of this, I am very happy to say that a large percentage of our business comes from personal recommendations. “As authorised Ricoh, Oki and Brother dealers we can be confident the solutions we provide are of the highest quality ensuring reliability and efficiency.” says David O’Malley. The brochure website is built on a WordPress platform, mobile responsive, optimised for fast loading performance and hosted in Ireland. 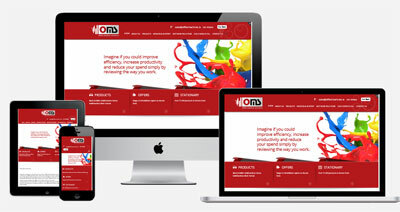 Click to visit Office Machine Solutions website.